What do hiring managers really look for in security engineers? Ever wish you could get inside the mind of a hiring manager before you apply for a job? We know the feeling — and that’s why we asked three managers exactly what they look for when recruiting a security engineer to join the team. Take notes and prepare your resume accordingly. SecurityScorecard is a service that provides security ratings for companies’ business ecosystems. That’s why they’re especially careful when recruiting candidates for their engineering positions. COO and co-founder Sam Kassoumeh told us exactly what he looks for when hiring. What are three qualities security engineers at your company should have? What’s one thing that could set a candidate apart from other security engineers? At SecurityScorecard we call this SecurityDNA, which encompasses not only technical or subject matter expertise, but also credibility and connectivity within the security community. Have they presented at infosec meetups or conferences? Have they committed to open source projects? These are all things that would help set them apart. What’s a typical day like for a security engineer on your team? It changes depending on the project. Generally, our team spends time scouring the internet looking for interesting and vulnerable systems. This usually entails writing code and doing research on new and interesting security trends, analytics and so on. And of course, breaking things. Time is usually spent both doing testing and development. White Ops developed a platform that helps prevent ad fraud and other malicious bot activity across digital media and web applications. They work with hackers and ad tech specialists and are selective in their engineer recruiting process. Tamer Hassan, CTO, explained what sets great candidates apart from the rest. They've faced down a terrifyingly large problem with a bold solution. On any given day our detection team varies their time between analyzing the ecosystem for incentives, defining the threat models that exploit those incentives, and building raw signal and algorithms that classify those threat models. When a large fraud operation has been identified we typically go into research mode to prove and disprove theories that build the big picture and put all the puzzle pieces in place, which could take days or sometimes months. Uplevel Security is an a adaptive system of intelligence that uses advanced analytics to modernize security operations. 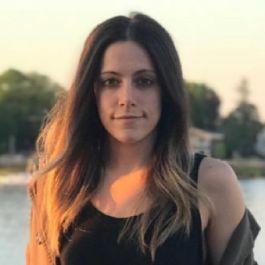 Its co-founder, CEO and CTO Liz Maida is responsible for recruiting candidates, and only settles for the best engineers. She told us exactly what that means to her. Because of the nature of our solution and our phase of development as a company, we’re especially interested in candidates who can demonstrate the ability and desire to learn and quickly adapt to new technical challenges. The team's day begins with a daily “standup” meeting to sync on all engineering activities, potentially a design and architecture discussion, followed by independent or pair programming for whatever functionality they are currently working on. We also have code review sessions, where team members may potentially present a demo of what they or other team members have been developing. Photos via featured companies and Shutterstock. Have a tip? Let us know.